LOUGHNER MASSAGE AND LASH BOUTIQUE of MONROEVILLE has a professional staff of massage therapists and lash experts who combine passion, dedication, and expertise to make you feel great! Our studio offers a variety of services to improve your physical and mental health. Please visit our Contact Us page to learn more about the services we offer. 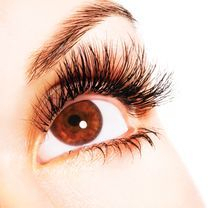 Our Eyelash Department brings out the individuals natural beauty with the application of semi-permanent and volume eyelash extensions. Enjoy multiple treatments including a double cleansing, steam, massage, toner, exfoliation, and hydration with our Facial department.